Boriska Kipriyanovich was discovered in 2003 at age 7 during a camping trip when he revealed memories he had from a past life on Mars and Lemuria long, long ago. He also warned of a catastrophic event, like a global flood, that he believed would happen on Earth in 2009 and 2013. He was featured in Russian media until news spread to the west. Boriska’s parents say he remarkably began speaking when he was just a few months old. He could read, write, and draw when he was just 2 years old, and he talked about alien civilizations. Boriska began reading latin astronomy books when he was 4 years old. According to him, when he lived on Mars it was damaged by nuclear war and he was a spaceship pilot but not the cliche disk-shaped flying saucers powered by plasma turbines. He even used space portals. “Portal is the same like teleport. It slows down time and opens a kind of portal where time is speeding up fast… I can’t say exactly. It opens on one side and in a few seconds or even minutes if the transfer is far away, it opens in another area of space. Martians were 7 feet tall, live underground, breathe carbon dioxide, and are immortals that stop aging at 35 years old. There were different Martian races that fought against each other with different weapons and developed cultural differences since they stopped communicating and trading with each other. 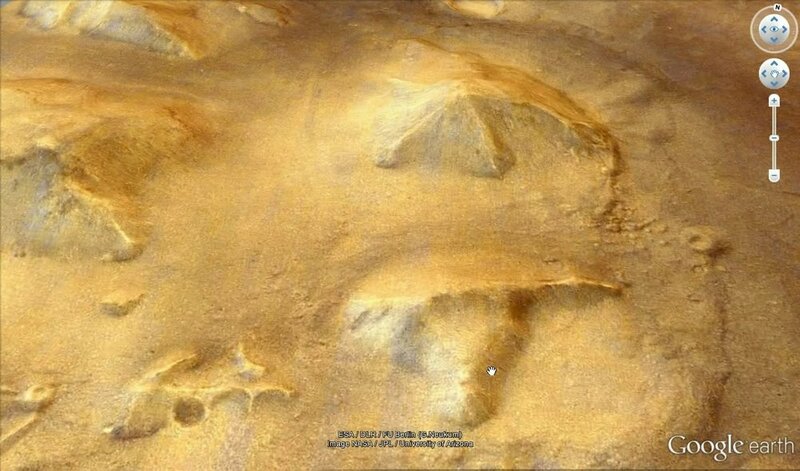 Supposedly, the ancient Martians had strong relations with Earth’s ancient Egyptians and traveled between the two. He believes there’s Great Sphinx of Egypt can be unlocked from behind an ear, which can change the world. There was a Jupiter Project to turn Jupiter into a second sun by sending capsules of some kind of energy or bombs but the wars on Mars interrupted this. During this war, everyone on Mars was killed and their souls were saved into special crystal Merkabas that could transport the souls to Earth and elsewhere, but some were broken. Boriska learned some of these things from a kind of Martian internet. No wonder Elon Musk is trying so hard to get to Mars. This is a fascinating story with lots of information truth-seekers can cross-checking with other known information, such as pyramids and face monuments on Mars. Previous articleAncient Textile Loom Discovered in Iraq, Ancient Fabric Factory?